Good morning party people! 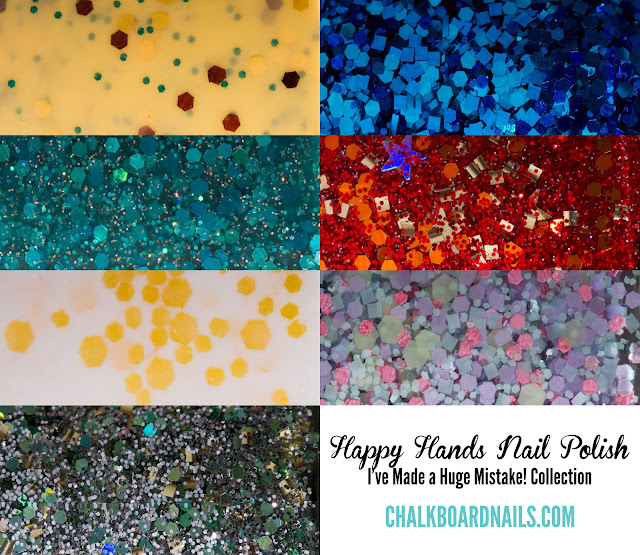 Today's post is the latest and greatest Happy Hands Nail Polish collection, titled I've Made a Huge Mistake!. If you didn't catch that the collection is referencing the amazing television show Arrested Development, you may be a bit lost with some of these lacquer names. Never fear, though, the polishes can be enjoyed by fans and non-fans alike! First up is Banana Stand. This one was a surprising favorite for me! This is three coats alone. 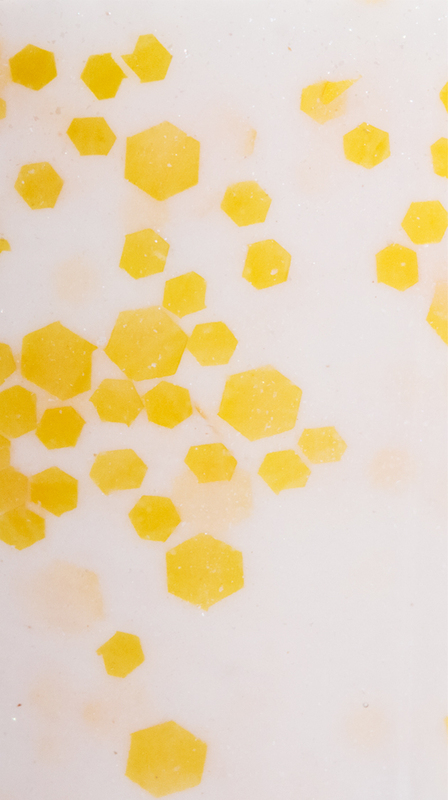 The soft yellow base is sprinkled with yellow and brown glitters to represent the banana. And of course, what banana stand is complete without a little bitta green? There's ALWAYS green in the banana stand. ;) This polish applied well and was fun to look at on my nails. I Just Blue Myself is probably my most favorite in the bunch. 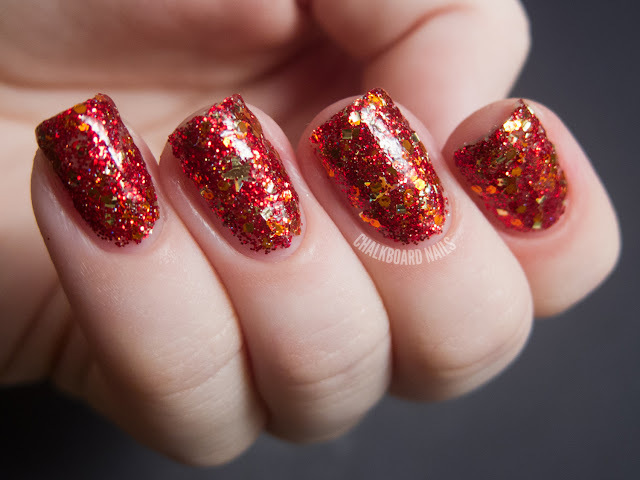 I cant help but laugh when I think of the scene this polish is referencing, and the polish is a stunner to boot. This is one coat over black. I used the dabbing method to apply and found it to be very effective. The blue in this polish just glows, and it's a rich and beautiful shade. 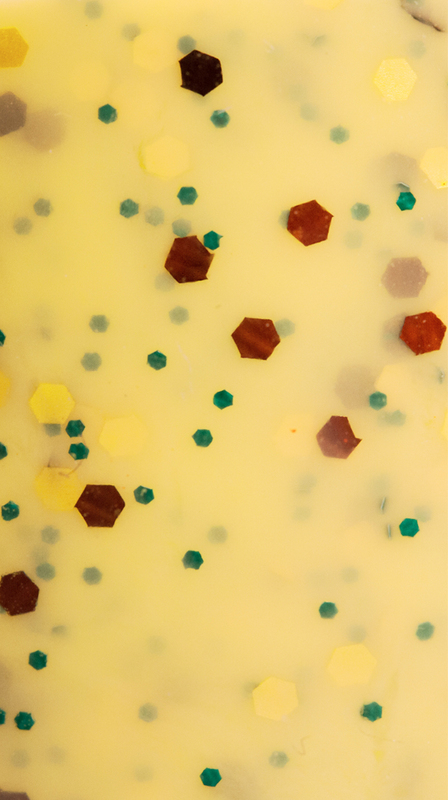 For British Eyes Only is a teal jelly with teal and holographic glitters. This is two coats alone, though this would definitely look beautiful layered, too. A sure hit with you teal fanatics! Illusions, Michael is a tribute to everyone's favorite illusionist, GOB. 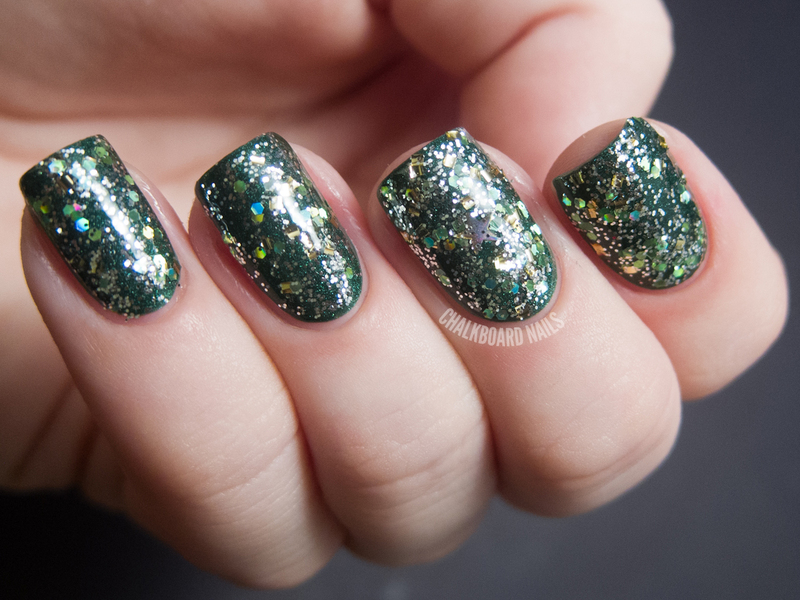 This polish is seriously packed, PACKED with glitter. 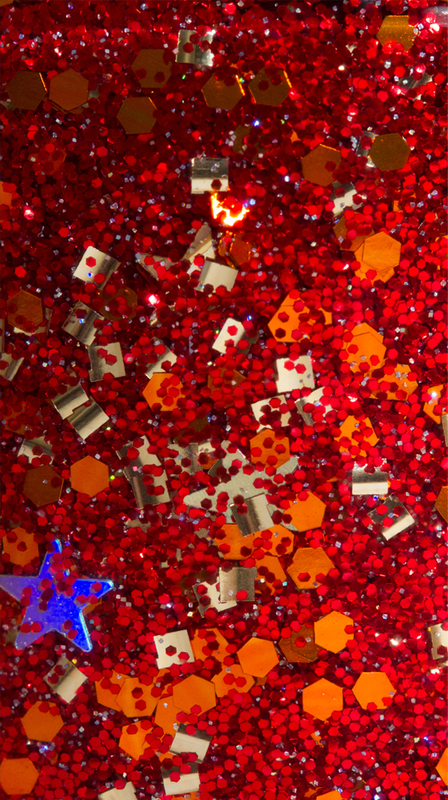 In it you will find gorgeous rich red glitters, with orange and gold accent glitters (including stars!). This is two coats of the polish alone. Because it is so filled with glitter, the consistency of the polish is a bit difficult. It's almost... dry, I want to say? 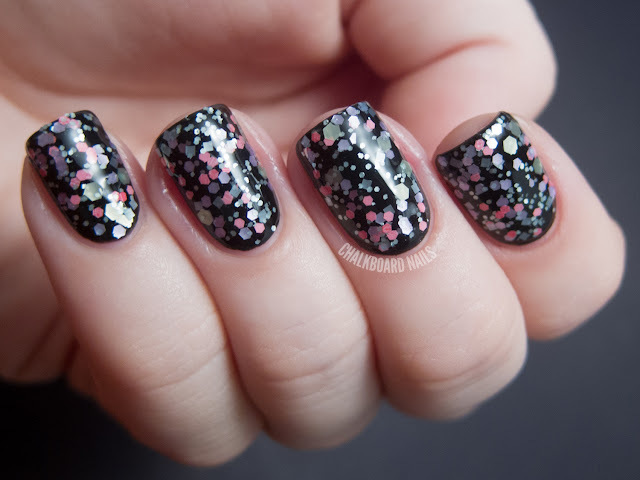 Definitely workable though, and could be made easier by doing just one coat of glitter over a red base. 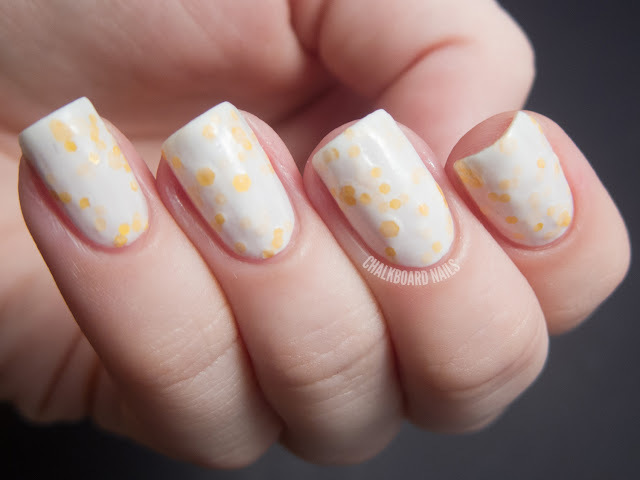 Mayonegg is a white based polish with a silvery shimmer and a few sizes of yellow glitter. This swatch shows three coats. As much as I like the idea of this polish, I just couldn't get it to work with me. The consistency was challenging at best, even after thinning. The white was streaky and thick, and the glitters looked lumpy in the base. I may have gotten a bum bottle though, as the Happy Hands swatch of this color looks nice! 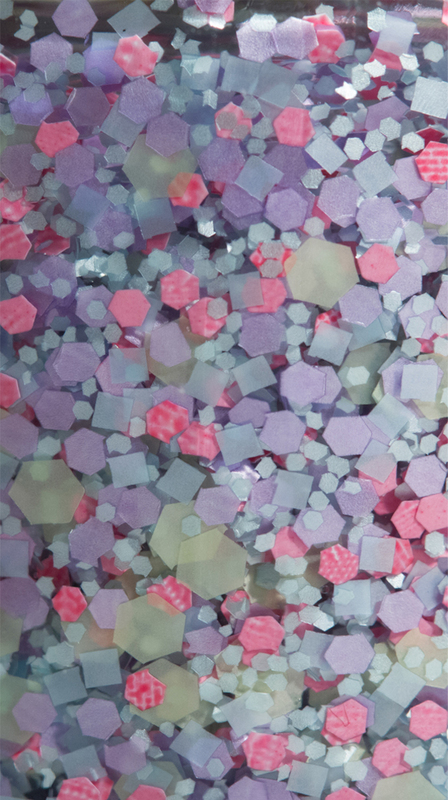 Motherboy is a beautiful mix of pastel glitters. I have shown one coat here over black. It is very dense, and applied very well using the dabbing method. 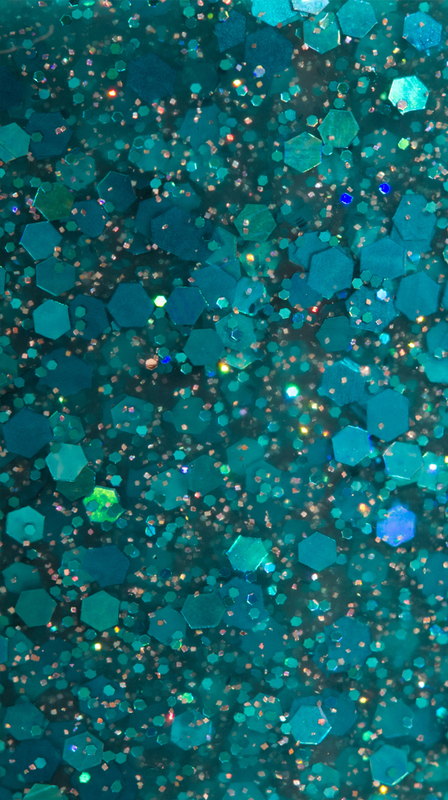 There are pink, green, purple, and blue pastel glitters, and some of them are translucent (make sure you check out the macro at the end)! This is a stunner and I think you probably need it. Finally, we have Tricks Are Something a Whore Does For Money... Or Candy. This polish is similar in glitter density to Illusions, Michael. I have shown one coat here over Zoya Veruschka. It's very blingy, and also has those neat star glitters. You can see one on my middle finger! 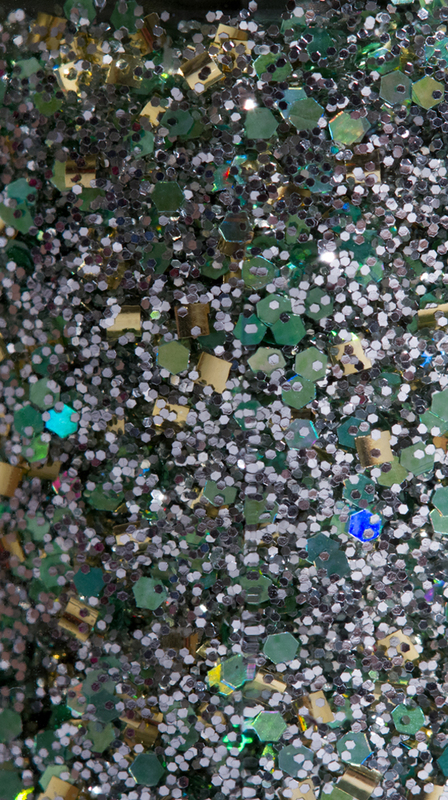 I've taken some bottle macros of these glitters for your closer inspection. Make sure you click them to enlarge. 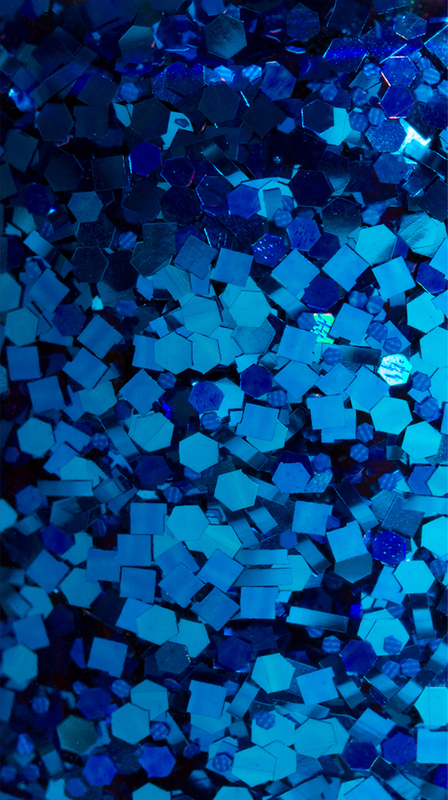 I do want to note that in the photo of Illusions, Michael, the star is not actually blue -- it's just the holographic nature of the glitter piece catching the light. Kristi and Nathan from the Happy Hands team have done a great job with this collection, and I absolutely love the inspiration. Must haves for me include I Just Blue Myself, Banana Stand, and Motherboy. 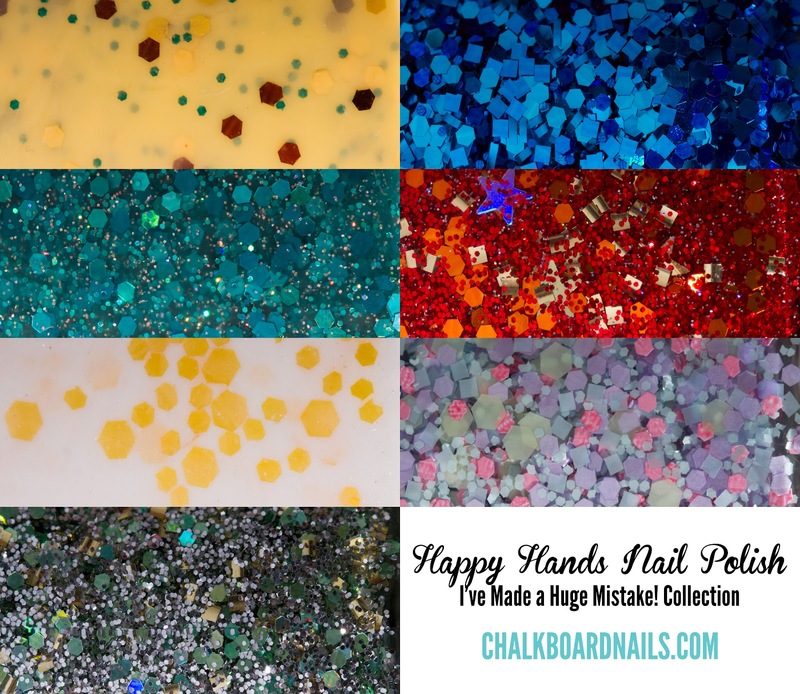 Happy Hands Nail Polish can be purchased on Etsy, and you can also keep up with the brand on Facebook for restock dates, times, and previews of new colors. I Just Blue Myself is just stunning! I Just Blue Myself and For British Eyes Only look amazing! i fall in the not-getting-the-names category but all of these polishes are seriously amazing! I love the look of Motherboy, very pretty. Oh my God. Nail polish AND a bunch of Arrested Development references? This post just made my day. frugality be damned, I need all of these! question, though! in light of what I've read on blogs lately (like Rebecca's http://www.rebeccalikesnails.com/2012/08/rainbow-honey-pinkie-promise.html) about indie polishes staining horribly, I'm wondering how these do in that regard? Usually with full collections, in the interest of turning the post around as fast as I can, I swatch them all at the same time, and don't do extended wear tests on them. I just don't have the time to dedicate that kind of testing to every polish, unfortunately. Having said that, I haven't experienced any staining from any indie glitters I have ever tried, though I also haven't tried the ones that she was talking about. Also, different polishes affect different people differently. 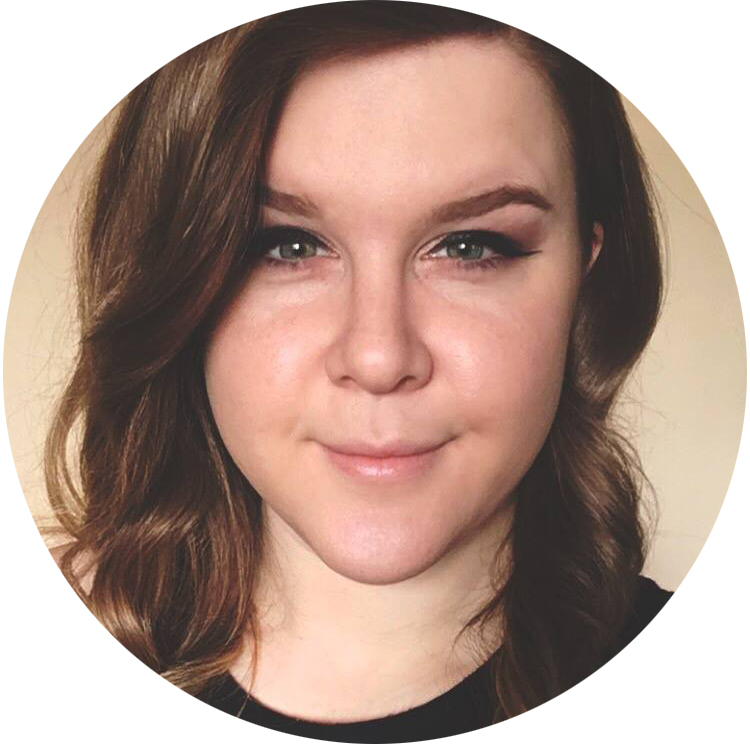 Even in name brands… I get horrible staining from Zoya Robyn (even with two base coats), but know that many others haven't had the same problem. Hahaha! Oh god I LOVE that these are all named in reference to Arrested Development. My favorites are the same as yours plus Illusions, Michael. They are all so pretty though. More to add to the lemmings list! I laughed at every single name. Gorgeous collection! I really like them all but my favorites are Banana Stand, Illusion's, Michael, and Motherboy. Lol i looooove arrested development! That color is great! These are gorgeous... I love Motherboy!! AHhh Banana Stand looks so unique ! Such a great idea haha ! Also, is the pinky colour glitter in Motherboy supposed to be sort of like checked/stripy/blobby ? I love the theme of this collection! One of my favorite shows. But I think out of all of these I need Motherboy. 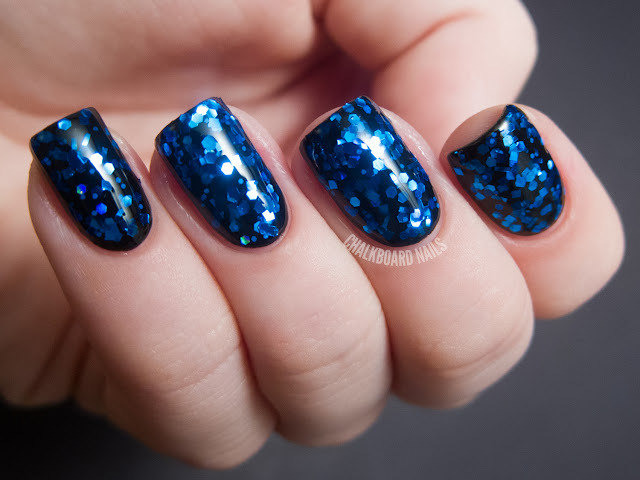 Just the other day I was thinking that it was weird there wasn't a polish called I Just Blue Myself! Might get it just for the name! And I'm a blue polish fiend too. Hahaha! I just laughed (and drooled) the entire way through these swatches--what a fabulous concept, and I LOVE these polishes!! Seriously, I want this entire collection. The glitters are stunning, the colours are just fabulous, and it's clear some real thought went into representing these moments/lines. It's not often a new collection blows (blues?) me away like this. I am really, really impressed. I love Banana Stand and Mayonegg! I want this entire collection just because of the theme! I love Arrested Development! OMG. An Arrested Development collection???? AMAZING!! I may have to get some of these just for the names alone! 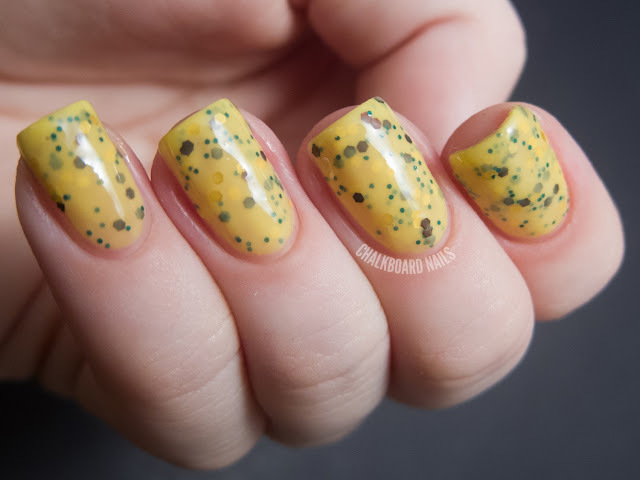 Motherboy is the best looking glitter polish out of the bunch, Mayonegg is really interesting but a bit disappointing from your swatch and review. I love this to pieces! All of the references are amazing! There's always money in the banana stand!!!!! LOLOLOL!!! So happy this exists. I feel like you could probably make a dozen or so more AD named polishes. The jokes are just perfect for polish names... like... Daddy Likes Leather! please make a daddy likes leather franken. ooohhh, and a buy-curious!!!! AD is the best american comedy EVER!!!!! I spotted these up on etsy a few days ago and couldn't stop cracking up! I want them for the names alone! Mayonegg, Motherboy, I Just Blue Myself and For British Eyes Only re my fav though! Banana Stand and Tricks are something Whores do for money... or candy are pretty cool too. I miss GOB and Tobias Funke so much - can't wait for the movie!!! I would love to have a bunch of them! Sadly they aren't available anymore :( Hope she'll restock. I love "Mayonegg". These are gorgeous! Mayonegg is the perfect name for that one! great!! I think that the blues or "Tricks are somethign a whore does for money.. or candy" is for sure my favorite plus hysterical name! haha thanks for sharing these gorgeous swatches! These all look excellent on you. I'm surrenders if I did them on me they would't even look good. omg i love arrested development, and i love you for doing a collection named after the show. Got Banana Stand because of your review here. Thank you! I haven't tried it yet, but the colour in the bottle is amazing! OMG! This collection is amazing! Mayonegg is my favorite!